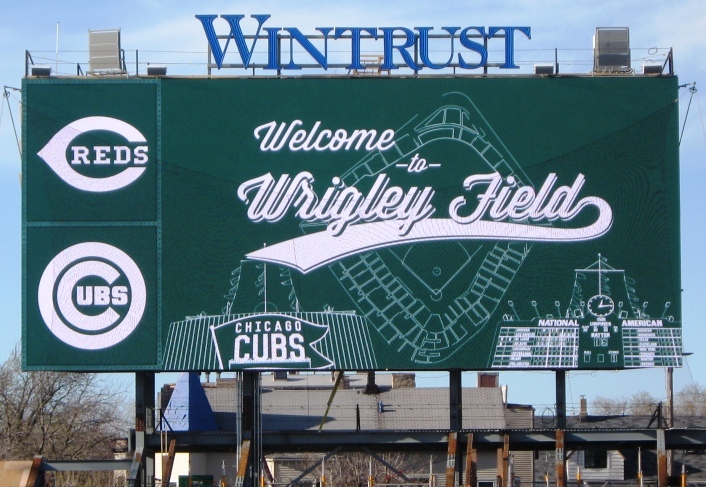 If you’re visiting Wrigley Field for the first time, or even the third or fourth time, here are some fan tips for a game at the Friendly Confines. Wrigley is one of the most storied ballparks in baseball, but there are things every fan should know when they go. Say, that new video board is really fan-friendly. What’s that grandstand behind it for? Visiting Wrigley Field, Tip #1: Plan ahead for tickets. Especially nowadays, with the ownership of the Cubs fielding a champion. Wrigley can be a tough ticket in the worst of times; with a competitive team you probably want to avoid the third party markup. If you weren’t able to get online when tickets first went on sale, your best bet for a manageable deal on tickets is to check SeatGeek (but know that you can’t print Cubs tickets at home any more, so get them well enough in advance). If you see something you can live with, grab it. But check the team website first. Just in case. If it’s good enough for the press, it’s good enough for you. Visiting Wrigley Field, Tip #2: The upper deck view is great here. Yes, you have to contend with obstructed views, and there are websites that will help you with that. But the upper deck is much closer to the field at Wrigley than at most ballparks, especially the new ones with multiple levels of suites. At Wrigley you’re almost on top of the action in the Upper Box, and even Upper Reserved isn’t too bad so long as a pole isn’t in the way. The bleachers are special in their own way, but for a first time visitor, it’s much easier to enjoy the Wrigley experience from the main seating bowl. Just make sure you get food before you head upstairs. 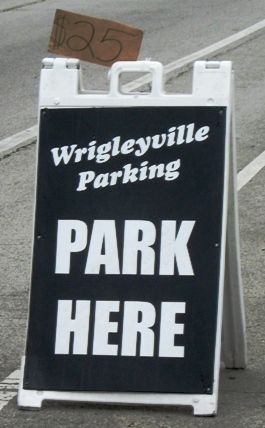 Visiting Wrigley Field, Tip #3: If you must drive, plan parking in advance. Most Cubs fans use the CTA Red Line (or the Blue Line and #152 bus) to get to the ballpark, but driving is still doable if you plan it ahead. Try my friends at ParkWhiz or the ultra-cool guys at CubParking, but don’t just get off the Interstate at Addison Street and expect to find something affordable close to the ballpark. You’ll eventually get so frustrated you’ll pay way too much for parking. 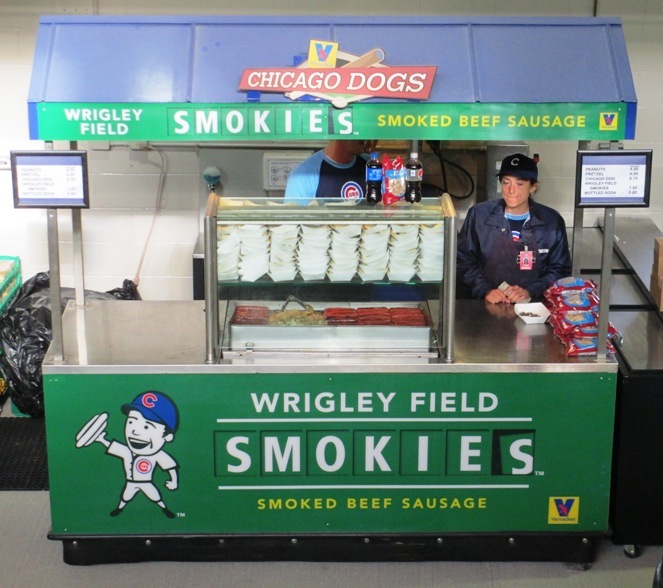 Visiting Wrigley Field, Tip #4: Try a Hot Doug’s dog or Wrigley Field Smokie. Hot Doug’s is a popular joint in Wrigley, selling dogs with unusual toppings named for Cubs greats. But Hot Doug’s is only available in the bleachers, so if you’re in the main concourse, seek out the Wrigley Field Smokies stand. 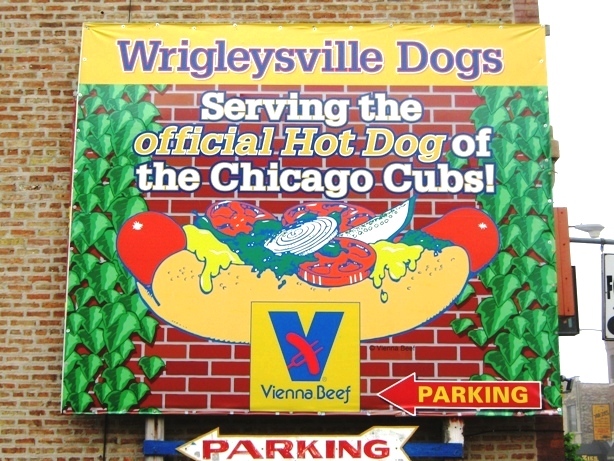 It’s where they sell the classic smoked sausages that were a longtime staple of Wrigley Field back in the day. Giordano’s pizza is great too, but you can (and should) try that in numerous locations in the city. Betcha didn’t know there was more than one Wrigley! 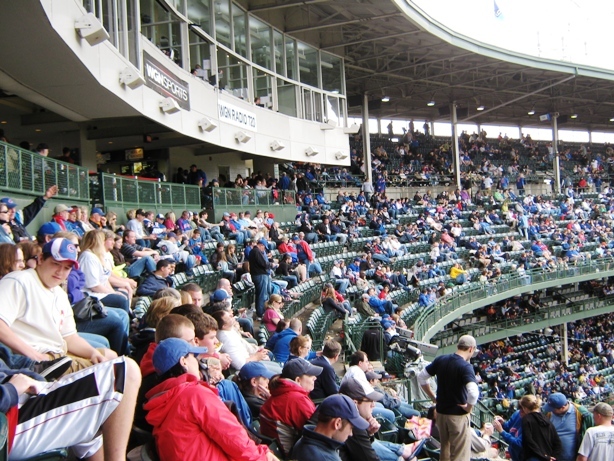 Visiting Wrigley Field, Tip #5: Make a day of Wrigleyville. The whole area from blocks around embraces Wrigley Field on game day. There are great taverns like the all-time classic Murphy’s; the Cubby Bear across the street where the Foo Fighters once played; Slugger’s with dueling pianos; and a whole host of watering holes where people celebrate a Cubs victory and wait for the Red Line train crowds to thin out. There you go; five tips for your first time visiting Wrigley Field, or your second or third if no one’s shared these with you yet. There’s a whole lot of ways to save money on what can be an expensive outing, but this should get you started.